Love and Hearts - thats the latest challenge that has just gone up at WOJ Challenges! I created a tag with 'Kiss the Cook - Henry' to attach to some homemade yummies. The sentiment and banner are WOJ 'Hooray', the tag I had in my stash (for such a long time! 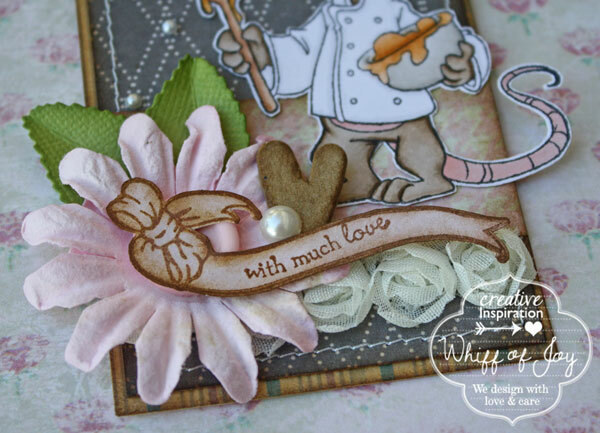 ), Glitz Design pattern papers, Kaisercraft flowers and pearls, Maya Road heart chippie and finished of with some lace, floral trin, button and twine from my stash. 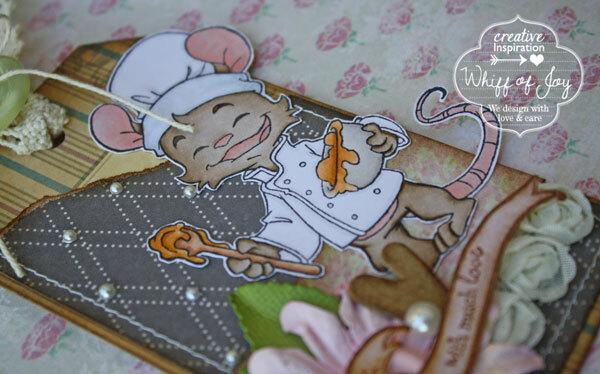 Thank you for stopping by and for your lovely comments, I hope you can join us in this challenge! This is too darn cute. What fun, beautiful design and embelishments.